One of the most disturbing long-term trends in personal finance is the steep decline in savings rates over the years. There is a distinct difference in how Americans save today and how they saved in past generations. Are savings habits a product of the different influences and experiences of each generation? Will the next generation do a better job of saving money than their parents? There’s a widely-held belief, which I believe has some merit, that both those who grew up during the 1930s economic depression and the post-World War II baby boom generation developed lifelong financial habits which were largely products of their upbringing. Having gone through the severe deprivations of the Great Depression, people who came of age around that time developed very cautious financial habits. They had seen how jobs and wealth could disappear in a blink of an eye. They knew that hard times didn’t simply mean making do with a little less – it could mean hunger and homelessness. For this generation, putting something aside for a rainy day became a survival instinct. Baby boomers grew up in a different world. The post-war economic boom was a time of emerging prosperity which turned the national outlook from fear to hope. Each generation, it seemed, would have even greater opportunities and wealth than the last. Obviously, this was a nicer time to grow up in than the Great Depression, but that pervasive optimism fostered some irresponsible financial attitudes. Why save when things are just going to keep getting better and better in the future? The numbers demonstrate the generational difference. 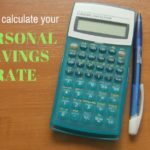 In the thirty years from 1941 through 1970, personal savings rates in the US averaged 10.2 percent. In the thirty years from 1981 through 2010, those savings rates averaged just 5.6 percent. By the way, savings rates over the past couple years have been even lower. Again, it is reasonable to think that the differing experiences of Depression-era children and baby boomers had a great deal to do with their respective attitudes towards saving money, but I think there is more to the story than that. Today’s low savings rates may be a product of more than just phases of the economic cycle. For one thing, the aggressive marketing of debt is a phenomenon of the last forty or fifty years. Teenagers get credit card applications on their eighteenth birthdays, if not before. You can’t shop at a major retailer without being invited to open a new credit card. People with credit card balances are not pressured to pay off their debts; instead, they are encouraged to make the minimum payment so as to maximize the lender’s interest by prolonging the debt. Another non-cyclical force is government policy. You’d think the government might be alarmed at how personal debt has grown over the past 30 years or so, but instead they influence people to keep on borrowing. Government policies actively contributed to the housing boom. Even now, what is the Federal Reserve’s response to a financial crisis that was caused by over-borrowing? They’ve lowered interest rates to encourage even more borrowing. So, it may be that a combination of cyclical economic patterns and non-cyclical societal changes have contributed to the irresponsible spending habits of baby boomers. Turning to the next generation, you could argue that the Great Recession might turn out to be a constructive experience for people coming of age right about now. The recession of 2008/2009 was not a short-lived setback from which parents could easily shield their kids. Not only was the recession itself fairly long, but its impacts have lingered for years afterwards. Young people today have seen older family members experience months or years of unemployment and under-employment. They’ve seen their peers graduate from college with mountains of debt and shaky job prospects. Based on the example of children of the Depression, you might expect that when this up-and-coming generation finally gets its hands on a few dollars, it will hold on tight to them and prepare for the future. Remember though, that in addition to the cyclical influence of the Great Recession, there are non-cyclical influences of debt marketing and government policy at work. Ultimately, parents need to teach their children to ignore many of the financial influences that are pervasive today. Young people like the idea of being independent, so emphasize that the path towards financial independence lies in rejecting debt and building savings. And hope, like most parents secretly do, that these kids handle things better than their parents did. 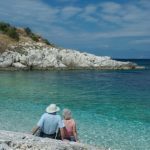 How Much Do We Need for Retirement? #10 Richard) I think Otto’s point is that there are better places to save money than in a low paying savings account. For example, moving that ‘savings’ to paying off debt instead. I keep my emergency fund in one of those low paying savings accounts, but not a penny more. I know saving money seems like a thankless task at today’s interest rates, but to answer your question of “why put money into a savings account?” the irony is that the lower interest rates are, the more we need to save. If our assets are going to earn a low rate of return, then more of our retirement nest egg is going to have to come from what we contribute as opposed to what the money earns. That said, I’ve been a frequent critic (including in this article) of the extent to which the Fed’s approach has rewarded borrowing at the expense of saving. People do respond to the incentives presented to them. I think you hit the nail on the head when you say people start with a lifestyle in mind and then back into financing it by any means necessary, rather than starting with what they can afford and backing into a lifestyle based on that. Basically, I see many people defining wealth as their ability to access credit, rather than as their income and savings. I think there is a generational component. However, the incredibly low interest rates are hurting savings right now as well. My savings account currently earns less than 1%. Why should I put any money in that account? I agree with Daisy. I’m not sure it’s a product of a generation per se, but people in a given generation deal with many of the same financial issues. One of the best lessons to teach your kids is how to make money. It’s a lifelong skill, and teaches them how to be self sufficient. We encourage our kids to find way to make money – lemonade stand, shoveling, lawn mowing, babysitting. My youngest loves opening his “candy store” at home, where he sells his unwanted candy. Not a big deal in itself, but a great lesson. I do think these trends are generational, while the so-called “Great Recession” was technically much shorter also the unemployment rate less than half of the Great Depression, the consequences I believe were great enough to have a lasting effect on monetary thinking. Especially since the unemployment rate for twenty-somethings is so much higher, that many job are less than expected to underemployment. So the greatest impact is happening on the most impressionable. I think there were be a sea change in attitude about finances with younger generations. I think environment is what can influence a person on their finance as well. I think it’s more how a child and generation internalize both the society messages and their upbringing. You see kids in the same family internalizing the parents and societies messages differently based upon their personal take on it, with kids coming out of the same family as both spenders and savers. Yet there is also an overall societal component driving what is acceptable to the next generation. For example having all my financial transactions on-line is worrysome for me, while my kids are all for it and see no downside. On the other hand, my parents wouldn’t have dreamt of investing in the market, while I started investing early in my career. All that said, I think the biggest shift is not generational as it has been in the realm of credit and marketing. Marketing has learned to focus and target us to spend money on many things we really can do without while at the same time credit has developed to the point where anyone with even a part time job can spend way beyond their means to get the things the marketing makes us desire. Its no different that when smoking was being pushed, only consider that it’s still being pushed, so I see no real change ahead IMHO unless it’s forced upon people. It can actually be quite simple to save. “Pay yourself first”. Electronically move an amount into savings every paycheck, just pick an amount, maybe 5% of take home pay, and then live off of the remainder. Contribute to your 401(k) if you have one. When the amounts are not in your account, you will not spend them. If you have a difficult time with credit card debt, then you are probably not reading this right now anyway; the free spenders do not visit fivecentnickel.com, it is not in their nature. I don’t think that saving habits are exclusively generational, but I do think that they have a lot to do with your upbringing which can actually be very generational (a good example is your example of children of the depression). I definitely agree that the best thing you can do is teach your own children how to save and how to be thrifty.